When I first heard about Neurofeedback and subsequently found a specialist to treat me for ADHD, I never thought in a million years that I would eventually co-found and run a clinic that would do the same. At the time, I was in college and debating whether to try medication for the first time or pursue more natural treatment. I ended up reading The Healing Power of Neurofeedback by Stephen Larson which gave me a framework to understand how the brain and body function together and the remarkable impact that Neurofeedback can have on our functioning and health. At the most basic levels, good health comes down to making sure that our brains and bodies are interacting and functioning in the way they were designed to work. The connection between our brain and the world around us is so core to our experience that anything other than optimum brain performance results in a less than optimum experience in life. This can be seen in challenges like depression, anxiety, ADHD, and a number of other conditions. Neurofeedback helps the brain improve its functioning by encouraging more healthy self-regulation of brain wave activity and chemistry. While pharmacological interventions produce their changes by temporarily altering the chemistry of the brain and body, Neurofeedback invites the brain to regulate itself in a more functional and healthy way. The gains found through Neurofeedback are lasting in nearly all of the research unless there are other underlying physical issues. Clarity and Attention - Whether you are ADHD like I am or not, the effects of LENS Neurofeedback on your brain are known to improve clarity and functioning. At Novo Life Counseling we have worked with a number of high-level athletes and businesspeople who want to take their healthy brains and give them an extra edge. Research shows that clients who have trouble with attention and focus have slowing in the brain waves of the prefrontal cortex. Neurofeedback treatments can greatly improve the natural production of Alpha and SMR (Sensorimotor Rhythm), resulting in a feeling of increased clarity, focus, and energy. Some clients feel these benefits in as few as a few treatments. Clients who have ADHD or parents of clients with ADHD notice big shifts soon after starting treatment. Reduced Anxiety - We all experience anxiety and stress at certain points in our life and most of us never figure out methods to deal with this in a healthy way. By training the brain through active forms of Neurofeedback, clients are able to increase mindfulness and reduce their heart rate. Heart Rate Variability is a great way to decrease the possibility of some terrible health issues such as strokes, heart attacks, hypertension, panic attacks, and cancer. Neurofeedback is also known to have a calming effect on the brain. Most of our clients leave sessions reporting that they feel much calmer than when treatment began. Improved Sleep - There are many studies that link chronic pain and fibromyalgia to lack of deep sleep. Things that can keep you from deep sleep are too much high frequency waves in either the prefrontal cortex or in the motor cortex. In the prefrontal cortex, the functional result is racing thoughts and anxiety-like symptoms that won’t go away at night. If the high frequency waves are closer to the motor cortex than physical tension results. Neurofeedback helps the brain normalize some of these rogue frequencies and establish more healthy regulation of brainwave activity, resulting in increased amounts of sleep and improvements in the quality of the sleep itself. Chronic Pain and Migraines - These are two of the more difficult issues to treat in Western medicine and we have yet to come up with cures for either of these. Most clinics rely heavily on managing the pain itself instead of trying to treat the underlying causes. In recent research with migraine clients, 70% of the patients who were treated with Neurofeedback experienced a significant and lasting reduction of symptoms. 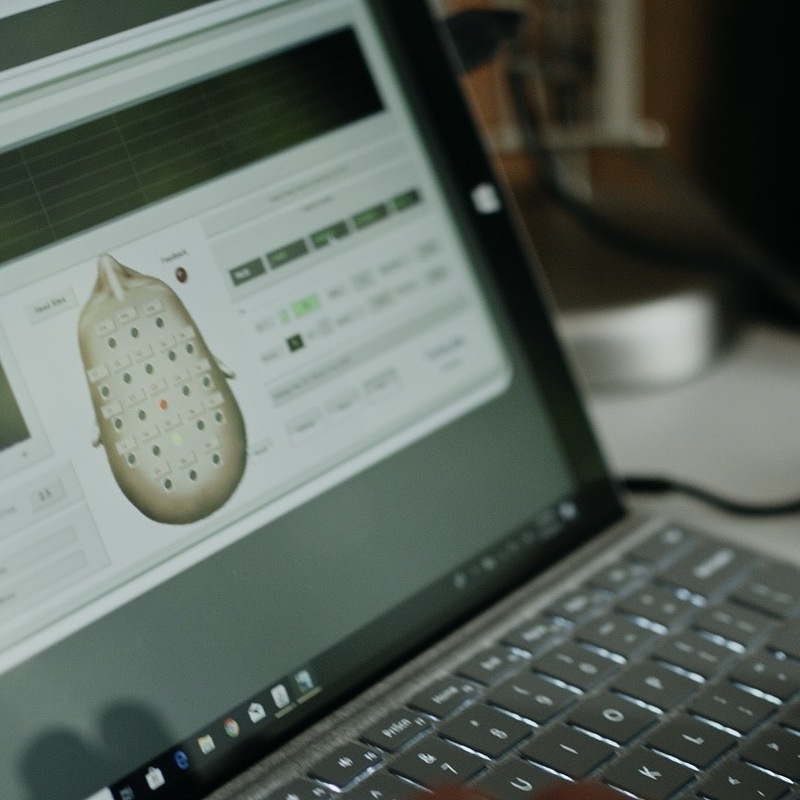 Other patients who experienced chronic pain found that in as few as 10 treatments with the LENS Neurofeedback system their symptoms had been reduced by up to 50%. For a seeming hopeless group of individuals who deal with pain on a weekly and sometimes hourly basis, the prospect of Neurofeedback is encouraging. Overall Health - Because we continue to learn more about the deep and intricate connections between the body and brain, having a healthy brain has many subtle and no so subtle benefits on the body. The regulation of brain chemistry and brainwave activity has been shown to improve by a number of different studies on Neurofeedback. Overall physical and mental health tend to improve as symptoms lift and new possibilities are revealed. The benefits of Neurofeedback are widespread and continue to grow as more research is released. If you are desiring to get help with a specific issue or want to just raise the baseline of functioning to a higher level in your professional life, Neurofeedback may be the right thing for you. If you’d like to have a conversation with one of our Neurofeedback practitioners or just have questions or comments about Neurofeedback do not hesitate to reach out and connect with us. We’d love to hear your stories or hopes for what Neurofeedback can do for you.